World Horse Welfare Chief Executive Roly Owers tells the tale of the crisis in the horse world in charity’s 2013 Christmas message. In what has been an extraordinary year for horses, the horse meat scandal brought horses to the forefront of the political agenda, media headlines and public consciousness – and the attention enabled World Horse Welfare to shine a spotlight on the real problems in the horse world. Roly starts by saying: “What has struck me most as I look back over 2013 is how so many of these negative headlines, we have been able to turn into forces for good. Competitors up and down the country will contest the qualifiers, held between March and September, in a bid to secure their place at “The World’s Most Famous Horse Show”. This year’s Show will take place from 8th – 12th October 2014 at Birmingham’s NEC. It’s an exciting year ahead for showing competitors, some of whom will have the chance to qualify for an entirely new Championship at HOYS 2014. The Ridden Partbred Pony of the Year Championship aims to recognise and promote quality ridden ponies, whose breeding, in part, is Arab or Welsh, or a combination of the two. Once again, all results from HOYS qualifiers will be entered into the league tables for the HOYS Awards Series. These prestigious Awards recognise and honour those who perform consistently well throughout the qualifying season. Search for a Star, Racehorse to Riding Horse and all show jumping qualifiers are yet to be announced. In a separate update The Harness Champion of the Year final at Horse of the Year Show (HOYS) is to be renamed the Harness Horse and Pony of the Year Championship with immediate effect. The change has been made in order to bring the class into line with the naming of all other showing Championships at HOYS. The format of the Championship and its qualifiers will remain unchanged. As London Olympia International Horse Show’s chosen Charity of the Year for 2013, the Animal Health Trust (AHT) is pleased to be able to offer its supporters an exclusive 30% discount off tickets for Wednesday 18 December’s afternoon performance. Located at The Olympia Exhibition Halls, in Hammersmith, West London, ‘Olympia’ plays host to a packed timetable of all things equestrian, and is set to draw in over 80,000 visitors. 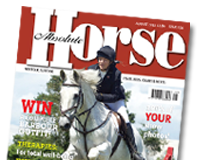 It includes top class international competition for show jumping, dressage and driving. The show, which will be running from Monday 16 to Sunday 22 December, will be dedicating the Wednesday (18) afternoon performance to the AHT. Organisers have pledged that 50p from every ticket sold at this afternoon performance will be donated to the AHT. There will also be a generous 30% discount off tickets for the Wednesday afternoon performance, exclusively for AHT supporters. To claim your discount and book tickets for Wednesday’s performance simply use the code ‘ANIMALHEALTH’ when you buy online at www.olympiahorseshow.com. Or alternatively quote ‘Animal Health’ when booking at the box office. The campaign that aims for mandatory CCTV inside Britain’s slaughterhouses receives the backing of 43,737 members of the public. World Horse Welfare believes that the introduction and monitoring of CCTV at all slaughterhouses licenced to take horses in the UK would assist the FSA (Food Standards Agency) in their duty of enforcement so that cruelty like what happened inside a UK abattoir this year can be prevented from happening again. The popular petition was signed by the likes of BBC Formula One presenter, Lee Mckenzie; British Olympic equestrian sportswoman, Mary King and three-day eventing elite, Pippa Funnell and her show jumping husband, William. The celebrated equestrians William and Pippa Funnell MBE handed the petition over to Defra at the end of November. The strongly backed campaign was launched by the charity after it was asked by Sky News to review undercover footage filmed by Hillside Animal Sanctuary at the Red Lion abattoir in Cheshire. World Horse Welfare was appalled at the catalogue of breaches of laws meant to protect horses at slaughter – horses being beaten, dispatched in view of other horses, and other inhumane treatment. World Horse Welfare called for suspension of all activities at the abattoir until new systems ensuring humane treatment were put in place. The abattoir was subsequently ordered to close temporarily, not on welfare grounds, but because the FSA said that the establishment did not meet all the infrastructure requirements which permit the safe production of meat. The Red Lion is still not taking horses but intends to reopen soon after refurbishment. Chief Executive of World Horse Welfare, Roly Owers says: “The public and horse owners need to have confidence that equine slaughter is carried out humanely in Britain. “World Horse Welfare believes that compulsory CCTV is a vital aid to help protect horses and while we believe there is a role for humane slaughter in Britain, inhumane slaughter has no place and is indeed illegal. The charity will continue to press the case for CCTV with Defra who are reluctant to compel slaughterhouses to install the cameras on cost grounds. World Horse Welfare does not accept this argument as CCTV systems can be purchased relatively inexpensively, and believes remote monitoring may have cost and other benefits.“We hope the public will continue to show their support for change in 2014,” says Roly. AEG and the British Equestrian Federation (BEF) can confirm an expression of interest regarding the hosting of the Longines FEI World Cup Jumping Final 2017 and FEI World Cup Dressage Final 2017 has been lodged with the FEI on behalf of AEG and its venue, The O2. An expression of interest carries no liability in terms of whether a formal bid is, or not submitted next year. If the initial expression of interest is accepted by the FEI, AEG and the BEF will be provided with the FEI’s Host Agreements and these will allow a detailed study to take place regarding the costs and viability of a formal bid, which will need to be completed by Easter 2014 (exact date TBC). Don’t miss out on special offers at Crown Corners exclusive event this Sunday 8th December. For one day only customers will receive 10% off all small animal feeds, plus pick up special vouchers for further discounts on future purchases. Celebrate with Crown Corner their new look for the Brentwood based store which has exciting new additions including a tasty pick-and-mix treat stand for your canine friends. Receive expert advice from representatives of Canagan, Symply and VetSpec Supplements who will be on hand to answer any questions and provide additional information on their products. British Eventing has launched a new training and competition package which has been created to help prepare riders for BE80(T) and BE90 level competitions. The ‘Go BE’ packages, available regionally, are there to help riders train for success across all three phases. Under the expert eye of BE’s Accredited Coaches, budding Eventers will receive support to ensure an enjoyable transition into the sport and their first competition experience. Each package contains six training sessions covering all three disciplines which will also include practical aspects of Eventing such as: horse fitness, turnout and using studs. The courses will be scheduled in advance of chosen BE fixtures in the area at BE80(T) and/or BE90 level so riders will have the opportunity to pick and choose appropriate courses for their needs. Once riders have completed all six sessions, they will receive a full completion certificate to acknowledge they are ready to start competing in BE events. Zara Phillips’ much-loved horse Toytown and Eventing star Tina Cook were welcomed into The British Horse Society Equestrian Hall of Fame during a ceremony held at the Household Cavalry’s Knightsbridge barracks on Tuesday 26th November. The BHS Hall of Fame celebrates the heroes and heroines — human and equine — of the equestrian world. Each year a select number of Britain’s most gifted horses and riders are invited to join the likes of William Fox-Pitt, Jennie Loriston-Clarke, Nick Skelton, Sefton, Milton and Over to You in the list of equestrian greats.